The competition between main shoe companies is serious as never – signature lines, budget models, every single pair of sneakers do matter these days, it’s crazy (but in a good way). 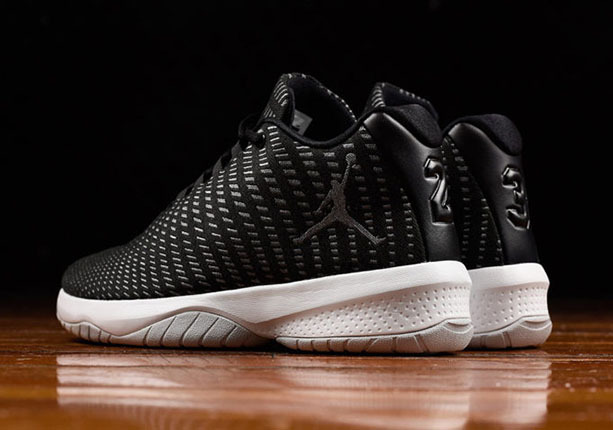 So today we’re going to see Jordan brand’s newest take on a budget model – the Jordan B Fly. Let’s see if they have what it takes to be on top of the list. Welcome to my Jordan B Fly Performance Review & Scores. BEST PLACE TO BUY: FINISH LINE AMAZON | 40$ OFF! Is it really a budget model? 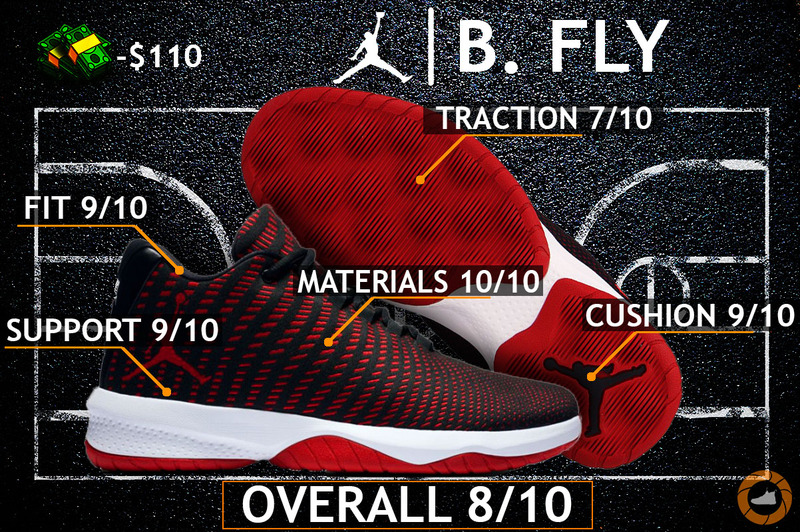 Right of the bat, the Jordan B Fly features performance Wolven which is find on the XX9. Not too shabby for a budget model, right? 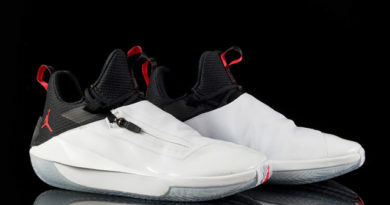 Personally, this is probably the best Jordan brand‘s setup you can get right now – it‘s super soft, it‘s incredibly light, it has great flexibility, no restrictions and still does manage to offer solid support for your foot. When you lace them up, it feels like you‘re wearing a main stream model, so performance Wolven really does its job perfectly. On top of that, we got synthetic leather overlays on the heel with embossed Jordan‘s number that adds even more Premium feel to shoe. Overall, super impressed. There‘s that basic Nike/Jordan budget cushioning – bottom loaded ZOOM AIR unit in the forefoot and Phylon midsole. 9 times out of 10 it offers quite solid performance – decent impact protection, tons of court feel & nice responsiveness. However, this particular setup was a head further. I did feel the Air unit, which is always a good thing and not a lot of budget model can offer that. It’s nothing too crazy really, don’t expect some huge bounces or amazing impact protection from it. Even so, the ZOOM Air unit is still adds quite a bit of responsiveness and it’s exactly what you need in the forefoot. But the best thing about this cushion was Phylon that they use. It didn’t feel like a regular Phylon midsole that you can find on others team models, not even close. The midsole on the B Fly is really well balanced to any type of player – squishy & soft at the heel, but responsive and low to the ground in the forefoot. We have a very unusual traction pattern with those raised bumps all over the outsole. I mean, it looks like Jordan brand tried to invent something new, but I didn’t notice any differences at all. Although, the traction performed well for me, not on the same level as the Kyrie 3 or KD 9, but still respectable nonetheless. On clean courts you will be covered all the time – I didn’t receive any major slippage problems, move coverage & stopping power was great as well. Now on dusty courts it was a bit different experience. The B Fly’s traction pattern is super dense, so dust will cause some troubles if you’re not keep them clean. So frequent wiping is required to maintain a nice grip. Fit is another department where the Jordan B Fly shines and that Wolven upper is the main reason why they’re so comfortable. Lightness is probably what you notice instantly – simplistic structure of the shoe & light materials made them one of the lightest models out there (11.3 oz to be exact). On top of that, the asymmetrical lacing system with dynamic fit cables work together really nicely to create that snug, one-to-one fit. The internal of the shoe has tons of padding too, especially in the heel area. That’s why I so love Jordan brand’s sneakers, they’re always like to throw some extra padding. Now, as far as the fit goes, wide footers should go true to size due to pretty wide structure and stretchable upper. If you have a narrow/regular foot, then I recommend going ½ a size down. This is by far the best aspect of this shoe. If you’re looking for a heavily supportive pair of sneakers to hoop with – just put them on your buying list. 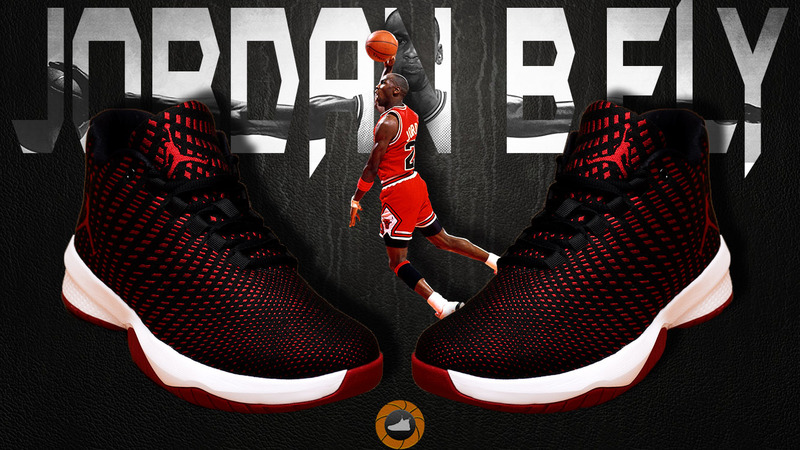 The Jordan B Fly doesn’t miss any support features – the asymmetrical lacing system checked, an internal heel counter checked, dynamic fit system checked and wide base checked. You just lace them up and let them do their thing, that’s it. I received beastly support in pretty much all areas – superb heel lockdown, really nice midfoot containment & stellar stability. 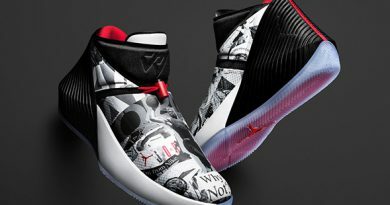 Maybe the Jordan B Fly doesn’t have a unique design or signature name behind (personally, they do look nice), but they are designed with performance as the priority and that’s what matters the most. Jordan brand really showed this time how a budget model should be done – a premium upper, beastly lockdown, stupidly light construction, a well-rounded cushion setup, decent traction and, of course, a low price tag. What else do you need? I was blown away with the performance that B Fly offered, seriously. If you’re searching for a versatile performer on court that will not broke your bank, then grab these bad boys right now! They’re now on sale at Finish Line for $50! That’s one hell of a deal, man! 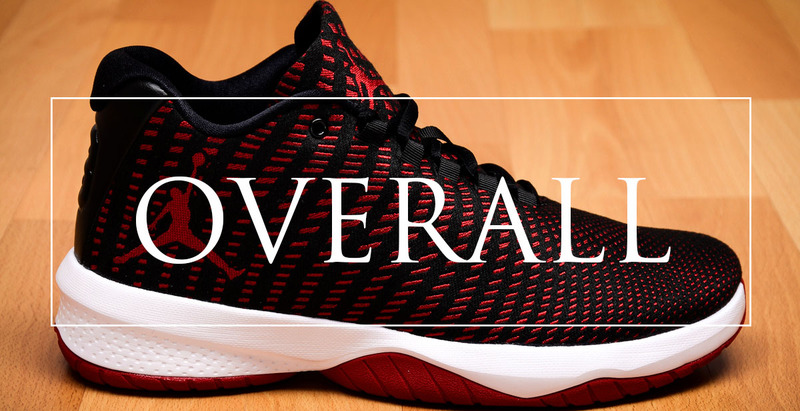 Hope you enjoyed my Performance Review on the Jordan B Fly. Did you cop them already? ← NIKE KD 10 REVIEW – The KD 9 Killer? Man this shoe looks awesome and I just found out that Jordan’s brand makes more money than 6 best athletes combined. I think they make shoes just amazing. And it will be my first Jordan. And now it is even less than 50 dollars. I won’t miss this deal. Awesome fact, Furkan! I didn’t know that. But it actually didn’t surprise me since the Jordan brand is leading the shoe industry. You’ll be more than happy with them, great choice for a first pair of Jordans. Wow! What a thorough review on a great looking shoe. Your pictures and details are amazing. You have me sold! And thanks for scoping out the best price, too. It’s actually hard to believe they are only $50 with all those features and support. Thank you so much, Anika! I put a lot of effort and hours into my reviews. You’re welcome, that’s my job. Oh yeah, Finish Line is treating us with the ultimate bang for your buck deal. Hello there! Should ı buy jordan b fly or kyrie 3. I am going to play on the street. I’d say go with the Jordan B.Fly, however, you’re gonna be playing outdoors and they do not have enough durable rubber for that. So pick the Kyrie 3’s or 4’s if you need a bit better cushion. thanks for all u do! No doubt, I do like the Crazy Explosive ’17 more. They beat the B. Fly’s in pretty much all categories. Not saying they’re not worth your attention, but the CE ’17 is just a bigger caliber ball shoe, in my opinion. Now, talking about traction, the B Fly does feature a bit more substantial rubber but it’s not that big of a difference. So it shouldn’t be something to worry about. However, if you’re on a tight budget, then B Fly might be a better option. Yo thanks for great review on this shoe. Do you think this shoes is good for casual too? Im gonna wear it often on street than court I think. Of course bro! Whatever works for you. Personally, I like to wear them with joggers.